Join us of the Yin Yoga Workshop with doTerra essential oils. Quite often we tend to worry and stress about a lot of things happening in our lifes, by focussing on everything that is going wrong. Focussing on the negative can become a habit, and if you’re not aware you will also focus on the negative in positive situations. Whatever the situation you always have the choice about what you think. Changing you way of thinking can change your reality. Positive affirmations can help you to focus on your dreams in order to realize them. In the workshop we will use some powerful positive thinking and affirmations techniques during, complementary to the practise. Exploring the impact of a positive mindset on your body and in the manifestation of your dreams. Yin Yoga is a meditative form of yoga, where the focus lies on conscious movement, awareness and inner silence. It is a mindful practice that increases the energy level and the flexibility of the body. Just like the yoga postures, the dōTERRA essential oils have an effect on our body and our emotions. The oils will be applied to the body (by the participants themselves) and used aromatically. Anyone who has followed the workshop is amazed by the powerful effect of yin yoga in combination with the oils. 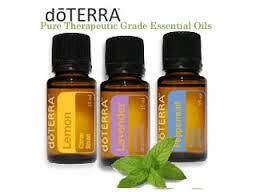 During the workshop I will use the dōTERRA essential oils. These oils are 100% natural and are of a Certified Pure Therapeutic Grade. For more information check www.doterra.com.